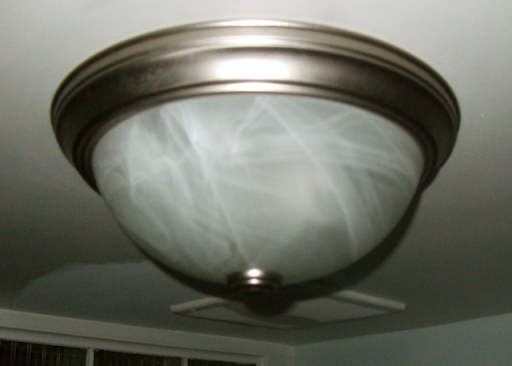 Although lighting upgrades were part of the work we had professionally done when we first bought the house, there remain several fixtures ripe for replacement. One of them was the quite dated fixture in our small bathroom. It would have been a candidate for replacement based only on its unattractive aesthetic, but furthermore a previous homeowner had carelessly painted on the edges of it. It is one of those things that I'm trying to get to and replace on this home. Five more light fixtures are on my list for replacement.